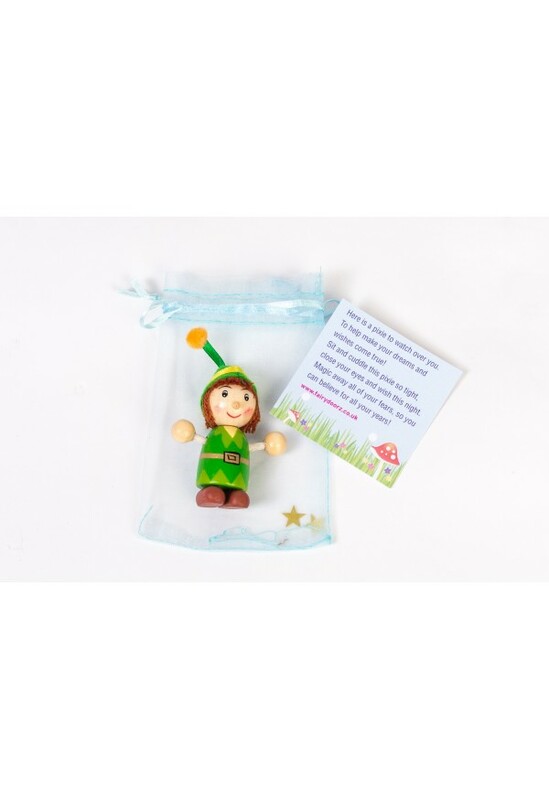 This is our gorgeous little fairy folk family - fairyfriendz. Wooden and hand-painted with decorative clothing parts. Our family includes a red elf, green pixie, fairy, fairy godmother and guardian angel. Perfect to grace any childs shelf. The fairy can help magical imaginations grow, the fairy godmother can help make wishes come true, the guardian angel can protect and look over little ones and the elf and pixie can get up to tricks - elf on a shelf style! Perfect for Christmas visits, moving around the house and getting up to mischief! A lovely magical little bundle of dolls. 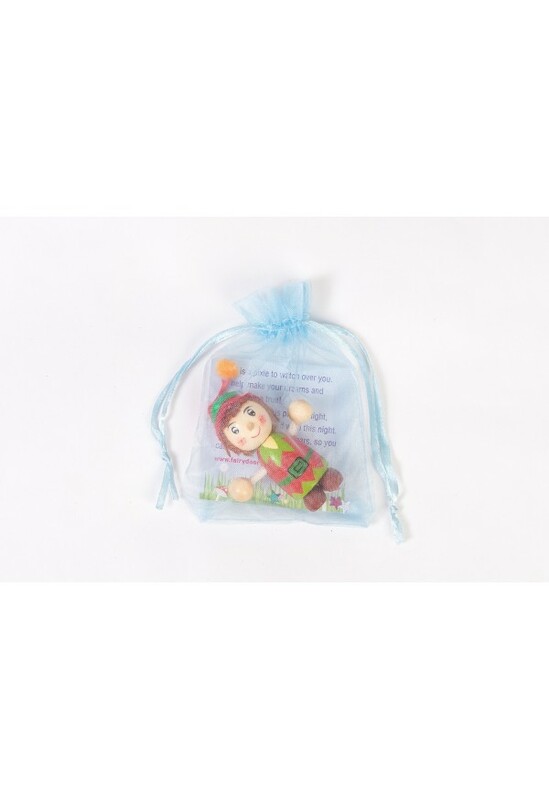 They come in an organza bag with star sprinkles and a poem card on how to make your wish. They make lovely little gifts. 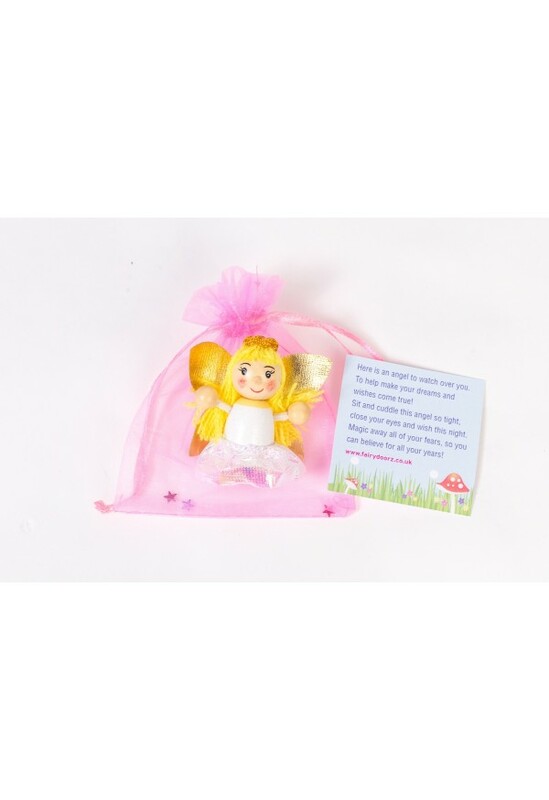 All contained in a clear long presentation box with curling ribbon & Fairydoorz sticker.